The first flight from the upcoming Navi Mumbai International Airport could start operating by September 2021, Civil Aviation Secretary R N Choubey said Tuesday. Choubey, who reviewed the progress of the greenfield project at a high-level meeting in Mumbai recently, said both the state government and the concessionaire are hopeful of starting flight operations in three years. "The state government and the concessionaire are optimistic that they will be in a position to start the first flight possibly in three years time from now," Choubey told reporters in New Delhi. "We are trying to, off course, even compress it even further to see the first flight earlier because not all facilities need to be build to initiate the flights. But that's probably the timeline and it's going at very good speed," he added. He said there has been "good cooperation" between the concessionaire, the project-affected persons and the state government in executing the airport project. The project is being carried out under the public-private-partnership model and Cidco has been mandated to execute the project. GVK group is developing the project. 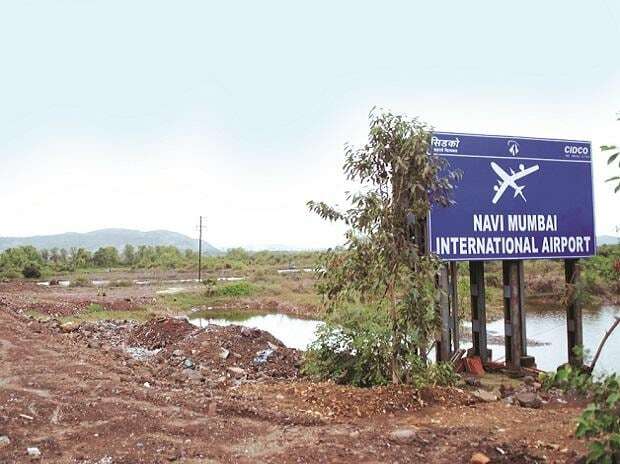 The group through its subsidiary, Mumbai International Airport (MIAL), holds 74 per cent stake in Navi Mumbai International Airport (NMIAL), while Cidco holds 26 per cent. In February this year, Prime Minister Narendra Modi laid the foundation stone for the airport, which will give a breather to single-runway and slot-constrained Chattrapati Shivaji International airport in Mumbai.